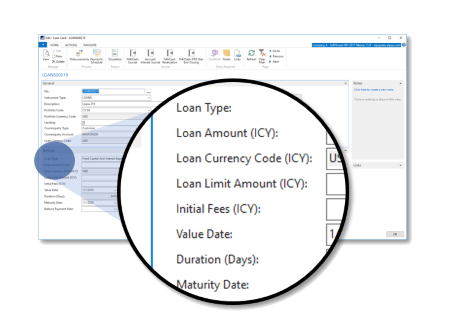 Versatile end-to-end loans management for Microsoft Dynamics 365 Business Central. The financial services industry is tough, fast moving and under stringent regulatory constraints. Firms are under increased pressure to adapt to new rules and improve visibility and compliance while controlling cost. They end up having to deal with a myriad of disparate legacy applications often a mix of on premise and cloud software that often come with inconsistent data and waste of resources. With unlimited number of entities, you can easily create or copy companies with the ‘RapidStart’ tool. This part of the software provides out of the box financial statements, budgets, receivables and payables, fixed assets, cashflow forecast, VAT and consolidation modules. Use industry standard XBRL for your regulatory reporting. 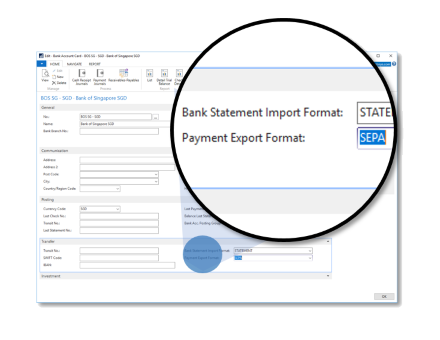 Generate bank payment files in ISO20022/SEPA format or use the Bank Data Conversion Service for generating the appropriate electronic payment file for your bank. Create direct debit collections, import bank transactions and bank statement data from electronic files sent from your bank. Generate computer printed checks. Choose between Interest only or amortization loans, Fixed rate, variable rate loans and deposits. Create calendars to match with your markets. Use Loan balloon repayment date, increase decrease capital, early repayment, capitalize interests and payment holidays. Setup bundles of loans, use dimension codes for analytics and split ownership. Pledge the loan against an asset or a portfolio. Lend or borrow directly through the customer or bank. Linking loans with bank or customer accounts will process the relevant entries in the sub-ledgers. Customer credit control and cash receipts is all done using the fully-fledged receivable and bank account modules. 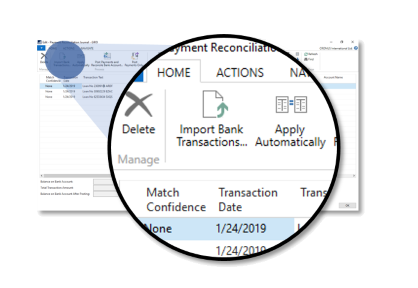 Apply incoming payments to related loans ledger entries and close the related borrower invoices or credit memos as paid. When all payments are applied, electronically reconcile bank accounts. 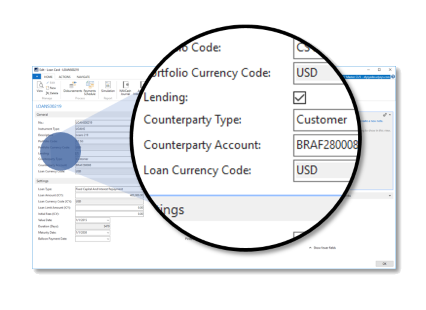 Perform online reconciliation of bank transactions with bank feed integration. Choose direct bank feed imports or automated feeds using Yodlee. Update borrowers payments automatically based on data from bank information. 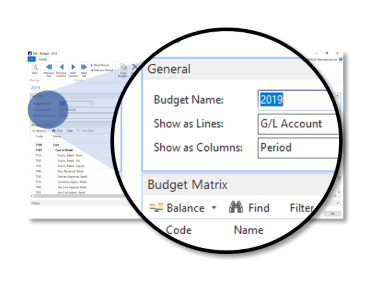 Use account schedules to define row and column structures, conduct analysis in-page or on screen, and export to Excel to analyse and compare general ledger entries to budget. 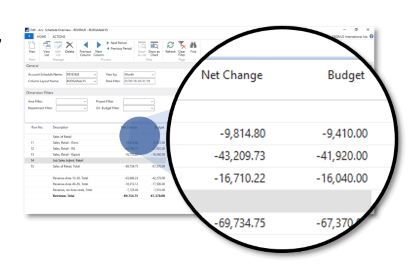 Easily create your own key performance indicators. Use account schedules to generate charts and graphs on your home page. 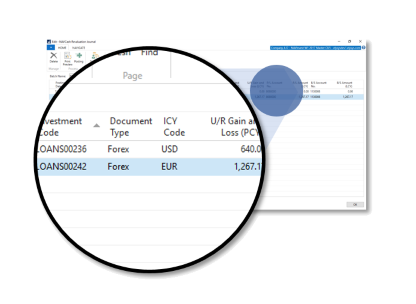 Calculate profit margins on departments, product lines, or borrowers groups. Manage loans in the currencies needed, and record sub ledger transactions in different currencies. Be ready for global businesses with automated currency posting, translation, and reporting. Ease or eliminate the calculations to present invoices and receive payments in local currency. Allow managers to converse in local languages and currency while managing in a single currency. 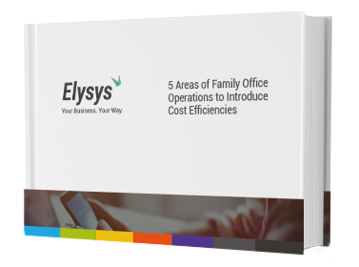 Improve your organization’s flexibility to develop, modify, and control budgets so you don’t get overextended. Focus business performance through better revenue and expense accountability. Reach goals quicker with estimating tools that provide income and expense reporting by prospective jobs.Track budget versus actuals and stop over- spend before it’s an issue. Create contacts and groups to support your business relationships. 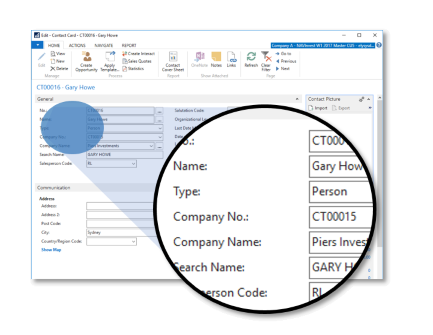 Manage your contacts within Outlook or integrate with Microsoft Dynamics 365 for deeper contact management capabilities. Streamline your contacts and investors communication, respond to prospects faster. 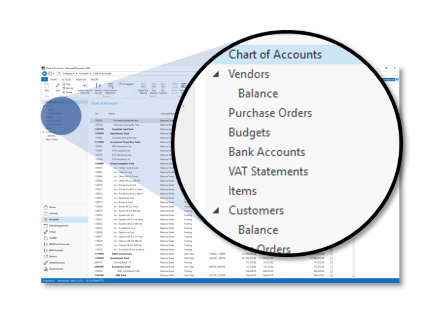 Get a complete overview of interactions and accounts status. The ‘RoleTailored’ user interface design provides a quick overview of the relevant information. The system can be easily personalised to adapt to each role with tailored-made dashboards. Front-Office, Middle-Office and Back-Office profiles are provided as default. 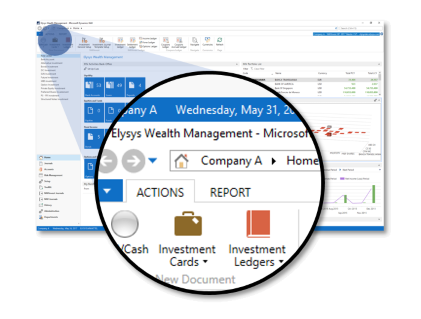 Built on Microsoft Dynamics NAV, Elysys Loans is the next generation of intelligent business applications that enable organizations to grow, evolve, and transform. To help get you up and running quickly, Elysys Loans is sold by a network of reselling partners that offers both technical know-how and industry expertise. Whether you prefer a partner located near your business or one with specific industry knowledge we can help get you started.